30. Failure to get critical review from colleagues prior to submission! If you’re a reader of this blog and you’ve experienced proposal rejections, and would be willing to (anonymously) share the key reasons from the above list, we would love to hear from you. If we receive a sufficient number of responses, we will discuss the most common reasons identified by readers, in future blogs, along with our detailed suggestions on how to avoid them. 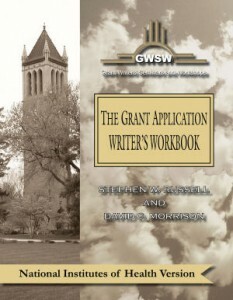 In the meantime, in the absence of such postings, readers will still be faced with answering the question: “How do I avoid making these common mistakes?” The simplest answer to this question would be to read and precisely follow the detailed instructions and guidelines available in each of our versions of The Grant Application Writers’ Workbook.